Welcome back to Outside In(fluence). Tonight I listened to a band called PMA Trio from Sao Paulo, Brazil. 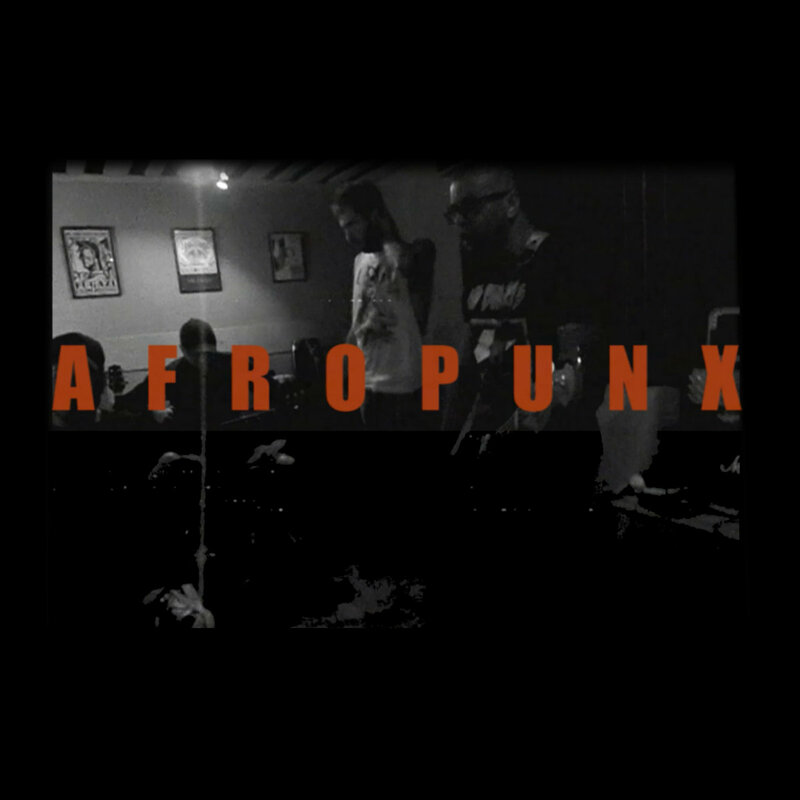 Recently they released a new single called "AFROPUNX", and this skate-punk song seemed like the perfect thing for a day like today where I don't have a lot of time for blogging. The cover art for the single is pretty cool. It looks like a performance shot, and the picture is all in widescreen greyscale. The title is printed across the image in orange, bold, capital letters. It's basic, but it is bold if nothing else. I like it. AFROPUNX by PMA Trio The single is a standard 3 minutes, starting with some drums outside the rock standard, almost into dub. Soon the guitars come in with a kind of early 2000's emocore/alt-rock thing, and the rest follows suit. The vocals are strong though and not whiny, lyrics dealing with being proud of who you are. The song goes through a few motions: chugging palm-muting breakdowns, double-bass drums beating to emphatic verses, uplifting choruses, and a soaring and weird solo. The solo adds so much with its odd double-tracked or chorus or octave or something stuff whining and whirring into the sky. The song fades into that static sky. I really liked "AFROPUNX", though it's not perfect. I wish the bass was more prominent, and I wish the band was a little more unique. I can hear snippets of really cool stuff like that solo and the intro with the dub drums, but too much of it sounds too standard. It's a pumping, fiery single, but I think PMA Trio has much more to offer. And they do. I noticed that the single was released with an accompanying video (I mean it says so right on the Bandcamp page). That video is awesome, placing the band members and friends among the likes of Angela Davis, Poly Styrene, Marcus Garvey, and The Last Poets. I always love self-mythologizing and it works well combined with the strong statement of the song and visuals of the video. That intro especially is harsh and really hits home the history of racism. Also, I love that they are using the word "punk" beyond musick, which is how I see it as well. After watching the video, I was especially enthralled. This was real fiery rock 'n' roll, uplifting selves and community. PMA Trio isn't afraid to be bold and make a statement, and that's cool. They are playing a festival called GRU 011 tomorrow that benefits homeless people. I would go if I were in Brazil. I'll just be here playing Dungeons & Dragons. Maybe one day PMA Trio will tour to Pittsburgh. Right now, "AFROPUNX" gets a Good.